Whether in grey leather or black, the GALANO collection opens up a new level of elegance in style. 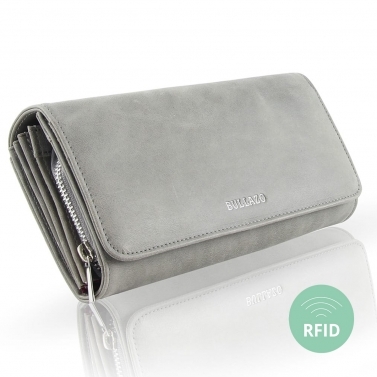 Leather wallets not only add the finishing touches to your outfit, but also provide a secure place to store all your collected membership cards, bank cards and more. They are more like a daily companion that is used functionally, but are part of the daily outfit and style. Leather wallets for ladies in particular reflect style and posture. They impress with their timeless beauty, which can only be conveyed by the finest leather. Women who pay attention to detail and quality in their leather wallets will find the perfect companion in these women's leather wallets. The wallet made of leather for ladies is made of 100% cowhide leather and is finished with fine seams. 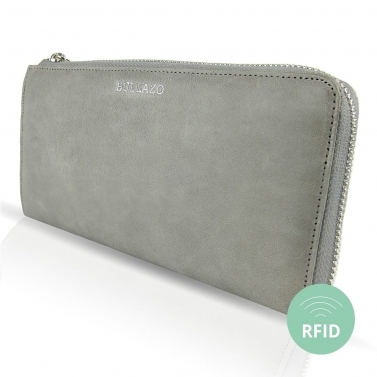 With selected functions such as RFID protection, the wallet is adapted to modern requirements and protects the cards from electronic reading. They also offer a perfect gift idea for special occasions. 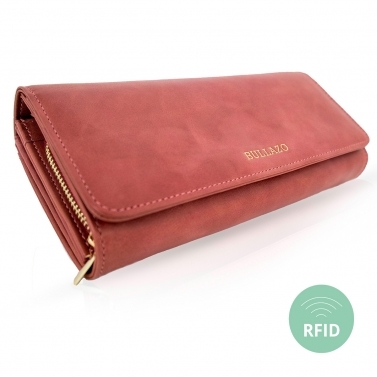 You will find a matching wallet in different sizes and colours for every woman. This can also be personalized by engraving. The initials or the name can be embossed on the inside of the leather. The wallet becomes a personal piece of jewellery, which is irreplaceable. The leather wallet for ladies is not just a purse, which is responsible for storing money. It is rather a treasure trove of countless membership cards, unused vouchers, old photos from childhood that cannot be discarded, and memories of old days. For some women, it also offers space for the ubiquitous smartphone, replacing the small handbag or clutch. Often the lady's wallet remains in her possession for years and even after that, you can't separate from it and you don't have the heart to leave it. For all these women, the wallet must not be small and disappear into the bag, but the wallet of the ladies must be large and thus offer enough storage space. 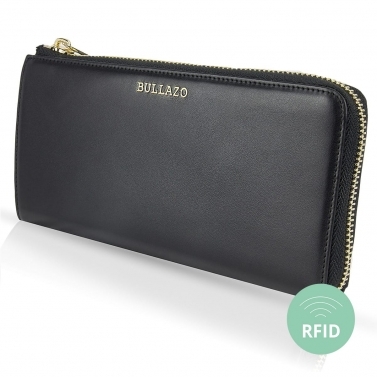 We have therefore developed the wallet ladies large with a focus on enough storage space. In our GALANO CLASSIC and GALANO PLAZA wallets, all cards and memories find their place. 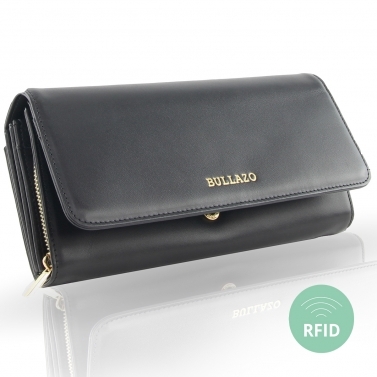 For those who prefer a compact and small size, the mini wallet for ladies, the GALANO MINI, is the perfect solution.